Part 1: Active-passive High Availability Solution for Oracle Database without Data Guard. This article is the first part for an Active-passive High Availability Solution for Oracle Database without Data Guard solution. This first part explains how to set up an Oracle database duplication/clonage. Recovery Manager (RMAN) is an Oracle Database client that performs backup and recovery tasks on your databases and automates administration of your backup strategies. It greatly simplifies backing up, restoring, and recovering database files. For more information. RMAN has the ability to duplicate, or clone, an Oracle database from a backup or from an active database. It is possible to create a duplicate database on a remote server with the same or different file structure. 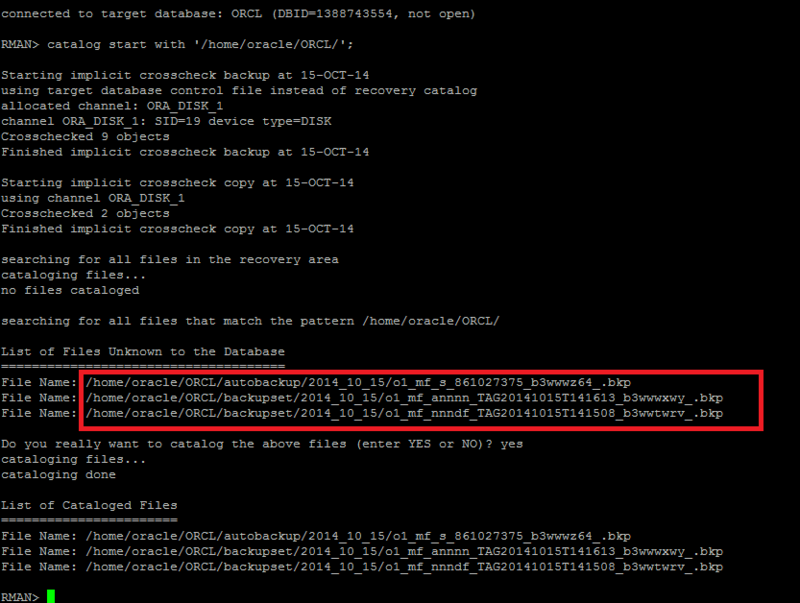 Step 2: Verify that the archive log is enabled on the Oracle database Source. Create a PFILE for the duplicate database. Since we are duplicating the database with the same filesystem as the original, we don’t need to convert the file names. 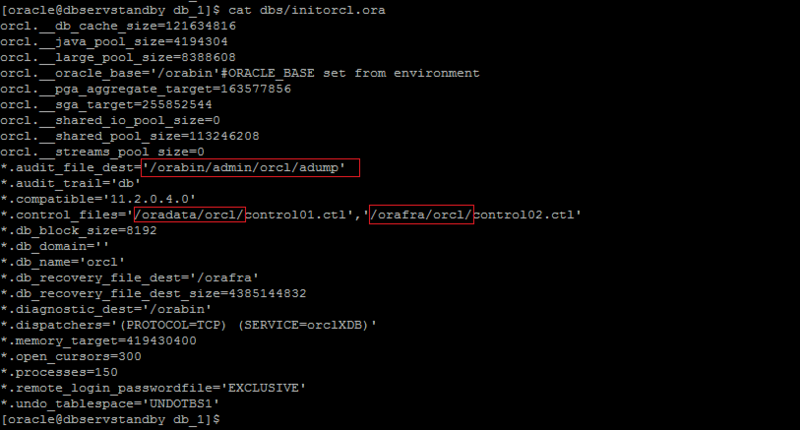 In this case, the PFILE is called “initorcl.ora” and is placed in the “$ORACLE_HOME/dbs” directory on the remote server. 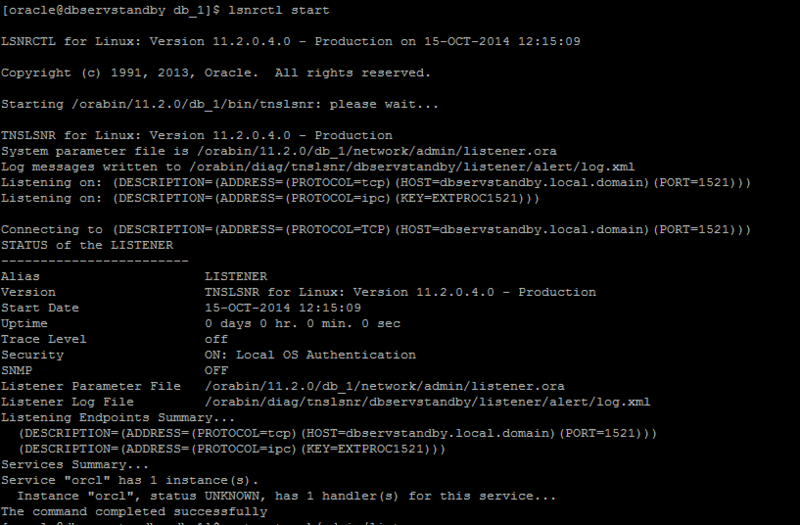 Step 5: Create a static Listener configure on the remote Oracle Linux Server. Copy the listener file from the source to the remote server. 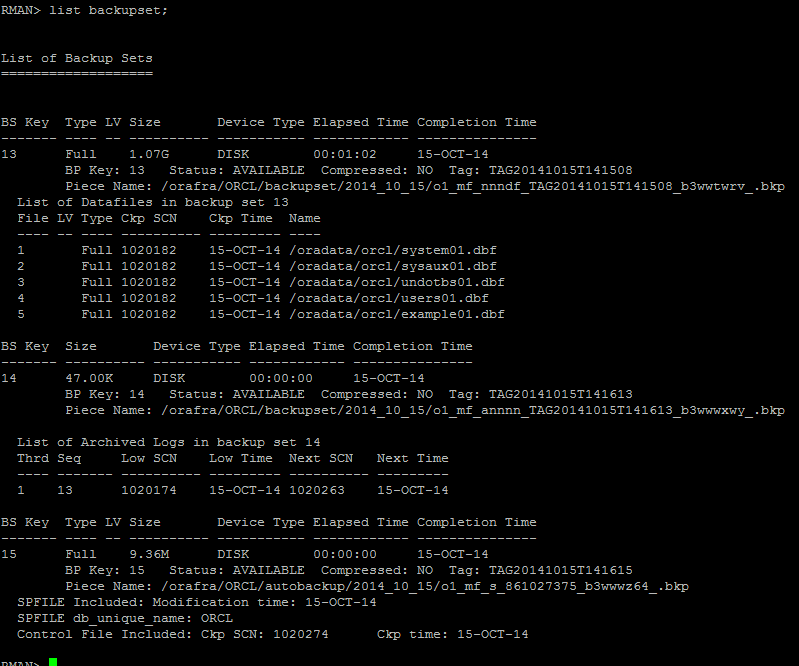 Step 7: Backup database plus archive log on the source Oracle Linux Server. Note: In this article, I am using the backup as backupset. Note 1: At this step, remote Oracle database is on mount/read only mode contain the same data as the original database. Note 2: If I add, modify or remove data on the original Oracle database, how can I update my remote Oracle Database to be as Active-passive High Availability solution, so check part 2. This article explains how to duplicate Oracle Database 11g. Also this article is the first part of an Active-passive High Availability Oracle database solution without using the Oracle DataGuard solution. One Response to Part 1: Active-passive High Availability Solution for Oracle Database without Data Guard. Pingback: Wadhah DAOUEHI - Part 2: Active-passive High Availability Solution for Oracle Database without Data Guard.